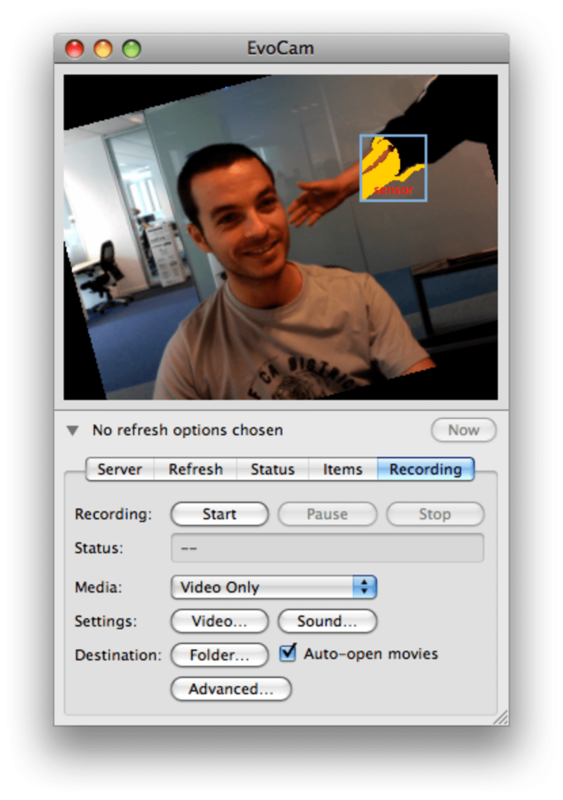 EvoCam is the program to turn to if you're looking to have better control on your Mac's webcam. 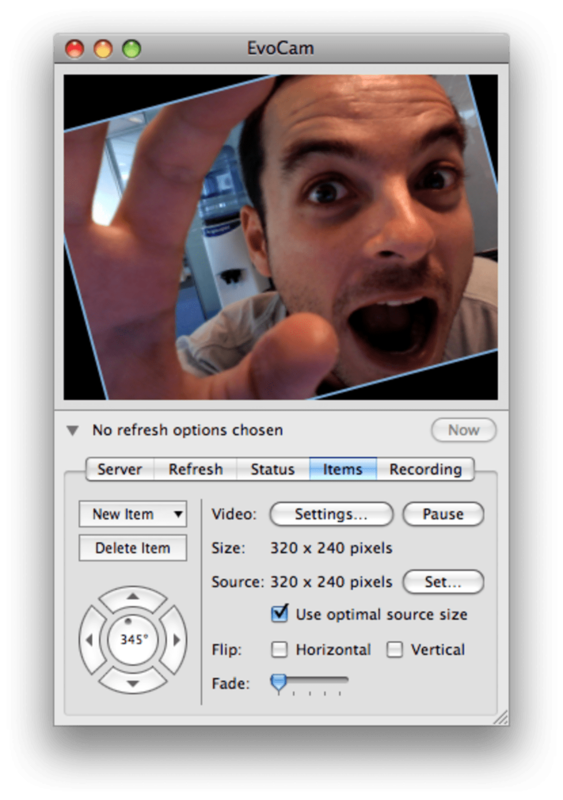 Working equally well with iSight as with other external webcams for Mac, EvoCam lets you record, view and stream videos straight from your webcam to an external server. 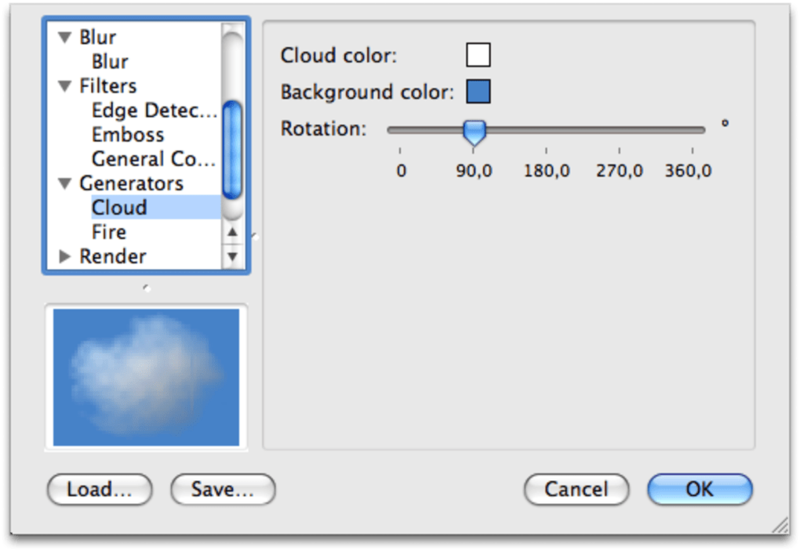 EvoCam comes with a number of filters to spice up your videos and you can choose whether to include or not the audio. The program also features more than two dozen animations to slip into your window. 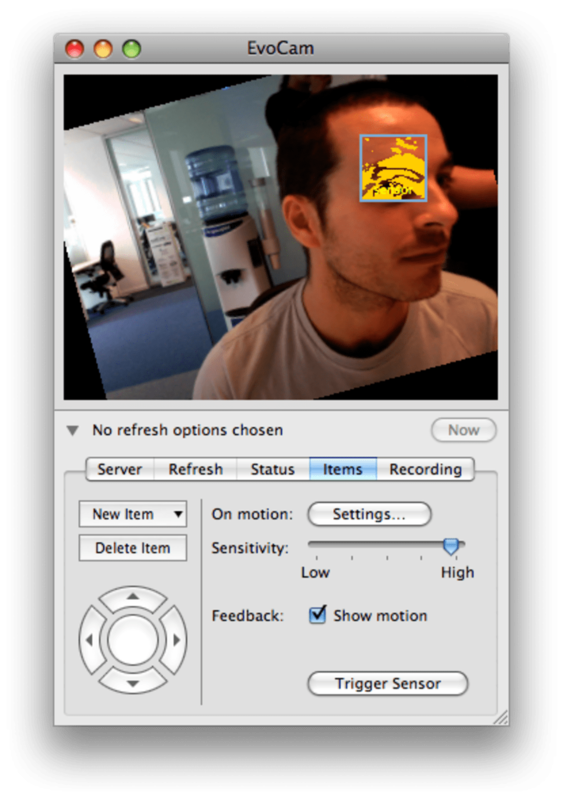 EvoCam features motion sensor recording, so that the app only records when the webcam identifies movements. You'll be able to export to a normal FTP, but EvoCam also gives you the choices of both passive and secure FTP. Note that your videos can be compressed and the quality adjusted according to your needs. 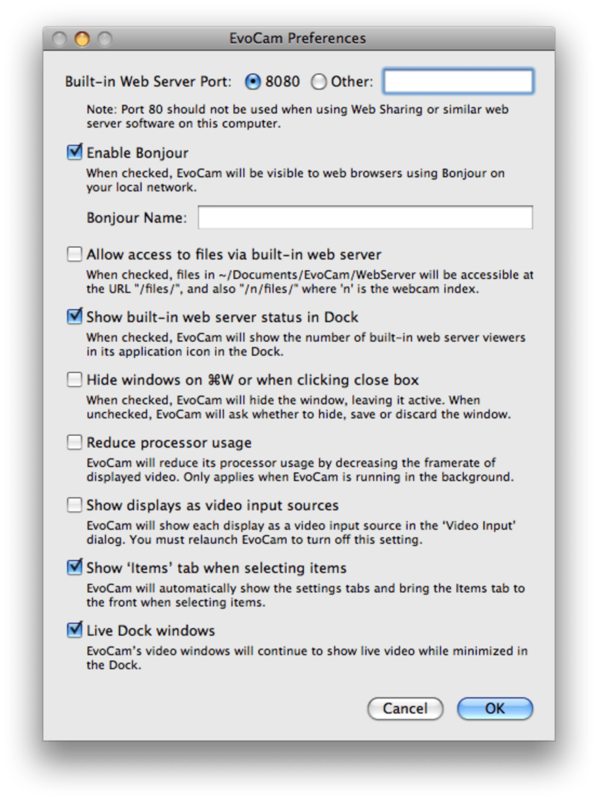 If you're looking for a great solution to record, view and stream videos taken with your Mac's webcam then EvoCam is what you need. adds support for Cisco, Panasonic, Rosewill, TrendNET and Vivotek network cameras. free upgrade for registered users of EvoCam 3.2 or later. Registered users of EvoCam 3.1 or earlier can upgrade for $10. Mac OS X 10.4 (or higher) and QuickTime 7.0 (or higher) required.